COMPLETE PACKAGE (SPECIAL PRICE). Kit includes front turn signals, rear tail lights and optional side markers. 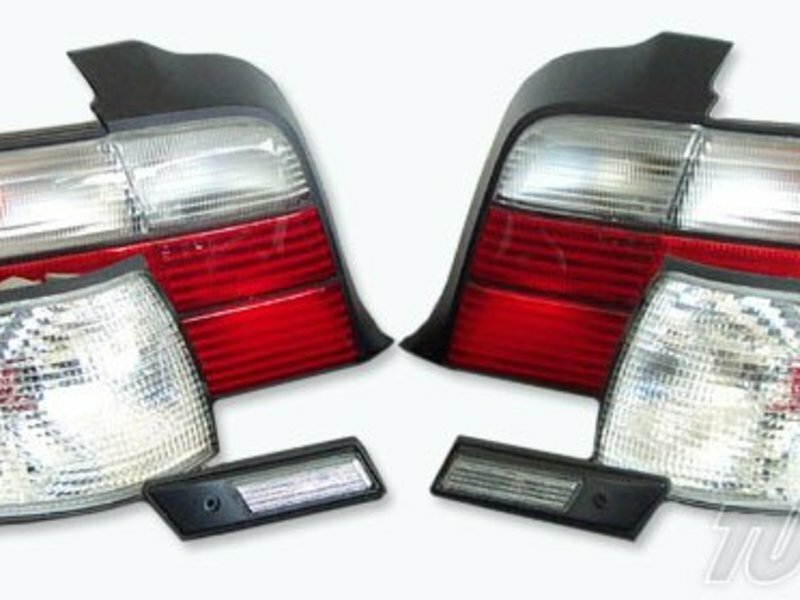 These European clear turn signal lights make a huge improvement in the aesthics of the BMW E36. They are very easy to install with simple hand tools. We have packaged the whole car as a set with discount that saves you money. This is our lowest price ever! These lenses fit correctly, won�t dim or turn yellow, tight fit for no leaks, and the correct wiring for the US market (no OBC faults). Amber bulbs included or choose the Stealth option for a cleaner look. Please specify your BMW model from the drop-down menu below. COMPLETE PACKAGE (SPECIAL PRICE). Kit includes front turn signals, rear tail lights and optional side markers. These European clear turn signal lights make a huge improvement in the aesthics of the BMW E36. They are very easy to install with simple hand tools. We have packaged the whole car as a set with discount that saves you money. This is our lowest price ever! These lenses fit correctly, wont dim or turn yellow, tight fit for no leaks, and the correct wiring for the US market (no OBC faults). Amber bulbs included or choose the Stealth option for a cleaner look. Please specify your BMW model from the drop-down menu below.